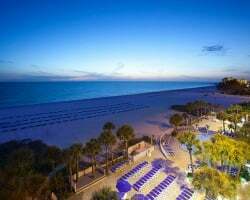 In St. Pete Beach, Florida, the *Breckenridge Club at Trade Winds* is part of the Trade Winds Island Resorts family. Any water sport imagined, plus attractions such as Busch Gardens, Tropicana Field, and the Salvador Dali Museum are at guests' fingertips. The resort offers an on-site health club, four pools, and plenty of jogging trails. Two hours away, Disney World and SeaWorld await! 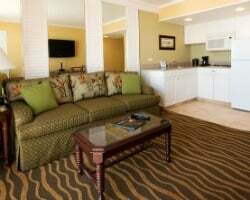 For more information about this fantastic Floridian retreat, visit www.justletgo.com. 9,000 even year points! Points can be used anywhere in the Bluegreen network! Buyer may receive a title fee credit, inquire for details! All offers will be considered! All club fees paid thru 2016! Available for immediate booking and usage. Buyer may receive a title fee credit! Buy all three ownerships (ads 2401442, 2401444, & 2401445) for a total of 39,000 points for a package price of only $19,999! Inquire for details! 15,000 even year points! Points can be used anywhere in the Bluegreen network! Buyer may receive a title fee credit, inquire for details! REDUCED - plan your next SUPERIOR vacation now! 10,000 annual that can be used to stay anywhere in the Bluegreen network! Inquire for details! Also purchase AD #1833355 for a package price of $12,000. Will entertain reasonable offers. Buyer May Receive A Title Fee Credit, Inquire For Details! Various locations available throughout the Bluegreen network! Buyer May Receive A Title Fee Credit, Inquire For Details! Sale includes 8,000 biennial points! Buyer May Receive A Title Fee Credit, Inquire For Details! Extremely motivate seller! No reasonable offers will be refused! Make an offer today! Buyer May Receive A Title Fee Credit, Inquire For Details! Sale includes 3,000 annual points to enjoy St. Petersburg or any other Bluegreen location! Buyer may receive a title fee credit, inquire for details! 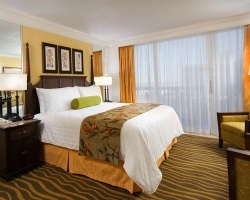 Close to theme parks, museums and more! 9,000 even year points! Buyer may receive a title fee credit, inquire for details! Sale includes 20,000 biennial points! Option to go to a different resort each use yr! Buyer May Receive A Title Fee Credit, Inquire For Details! Motivated Seller! 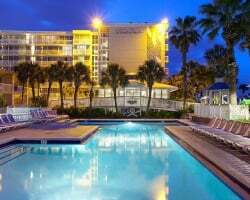 Enjoy St. Pete or any other Bluegreen Resorts! Buyer may receive a title fee credit, please inquire for details! 85,000 even year points! Points can be used anywhere in the Bluegreen network! Buyer may receive a title fee credit, inquire for details! Enjoy 25,000 annual points! Buyer may receive a title fee credit, inquire for details! Stunning beach getaway with 10,000 annual points! Price Negotiable! Reasonable offers will be considered! Inquire Now! Motivated Seller! 10,000 annual points! Points can be used anywhere in the Bluegreen network! Buyer may receive a title fee credit! 12,000 annual points! Points can be used anywhere in the Bluegreen network! Buyer may receive a title fee credit, inquire for details! Sale includes 6,000 annual Bluegreen pts! Option to use anywhere in the Bluegreen network! Buyer May Receive A Title Fee Credit, Inquire For Details! Price Reduced! Points can be used anywhere in the Bluegreen network! Buyer may receive a title fee credit, inquire for details! Lovely resort in St Pete's! Or use 12,000 even points to stay anywhere in the network! Buyer may receive a title fee credit, inquire for details! Price reduced & negotiable! 12,000 odd year points to use anywhere in the Bluegreen network. Buyer may receive a title fee credit, inquire today! 5,000 annual points! Points can be used anywhere in the Bluegreen network! Buyer may receive a title fee credit, inquire for details!